ecently Sony announced the sales of their latest ultra thin camera. Till now it really is one of the slimmest in the world with a thickness of just 2.1 mm. 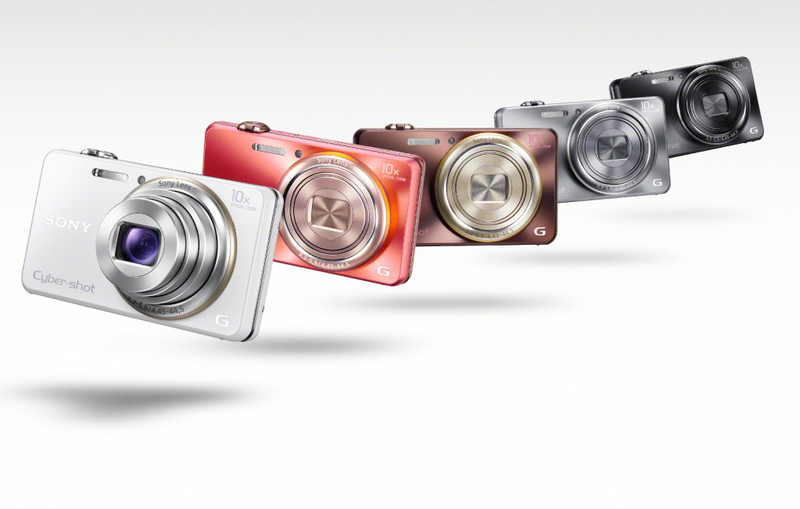 This is Sony Cyber-shot DSC-WX100. The color options are four – black, white, gray and pink. The main material used is polycarbonate with few types of processing. In the rear panel it’s rugged almost looks like metal. Real metal we find along the periphery lines and the optics. The weight of WX100 is 108 g, and its dimesions – 92,3 x 52,4 x 21,6 mm. As you know one of the most important things about a camera is its optics. Here we have focus range from 4.45 mm to 44.5 mm. Aperture is F/3.3 to 5,9 and put to a Full Frame matrix – 25 to 250 mm. This Cyber-shot has 4x digital and 10x optical zoom, which is something you don’t see everyday when it comes to compact cameras. Also available is the latest – By Pixel Super Resolution technology for micro shots. This Smart mode optimizes details and brightness. Along with that there is an automatic stabilization for the vibrations to help prevent the shivering hands problem, that could lead to blurry photos. The auto focus is smooth and quick even when you don’t enough light, which is a problem for most cameras. On the other hand you can easily put the focus on a desired object manually, making everything in the back blur almost like with the DSLR cameras. The sensor is Exmor R 1/2.3 with 18,2 MP and a maximum resolution of 4896 x 3672 pixels. It works pretty good combined with the BIONZ processor of the device, making even photos took in low lighting look good. The mimimum shutter speed is 1/1600 sec and the maximum 4 sec, making it possible to capture the so called long exposition photographs. What surprised us with DSC-WX100 is its light sensitivity 100 – 12800 ISO.Videos will be shot in Full HD with 1080 p, at AVCHD fortmat with a resolution of 1920×1080 pixels. A great thing in this Cyber-Shot is the possibility of filming video and taking pictures all at once. The display is 2.7 inch TFT ClearPhoto with a lot of automatic modes and settings. At the periphery of the camera there is a microSD card slot, a USB port and HDMI output.